This is something I have been keeping an eye on, definitely a niche game. I almost backed this one but the team developing it is completely new to gaming. It is looking nice but I'll probably hold off until something comes out that has actual substance. I gave $30 because they actually had some footage/gameplay; however minor it was. Enough to get the game whenever it comes out. I mostly treat kickstarter as taking a chance and it being a nice surprise when it actually releases. Air-ih-SHAY? More than a passing resemblance to Irekei! I realize we are still a long ways from this game being released, but how do people feel about the various choices? I am assuming that we would favor arid desert. But welcome others thoughts. I wish I would have been around for the Irekei. I really like the language. Cmon, didn't one of you guys buy a $20K Kingship package? To the best of my ability, I plan to put my villa in the biome we choose so that the clan will have not only a roof over our heads from day one, but an actual settlement. I will also try to have a crest that people agree with. However, I plan to be something of a figurehead leader, since my true love is writing up fantasy stories about culture and religion. We will need hardened warrior and administrator types. If we go Arid Desert, I would guess this will be a harsh but rewarding existence, since the game is being designed with strong survival elements. If we mess up, they will just find a pile of bones where everyone died of thirst and heatstroke! But I am guessing the Arid Desert will also be where mummy tombs and other ancient treasures will be found. If we can carve out our niche, just running our settlement and doing stuff as a clan will be fun. I don't think this will be a 24/7 warfare kind of thing like Shadowbane, so there should also be time for politics. As far as cultural archetypes, we will have to see more about the lore. I'd be interested in seeing what the Dras are like. Swamplands seems to offer more in the way of places a group called "Shadowclan" could fade away and blend into. I'd hope we'd be mildly uneasy about the To'resk, and downright hate the drylanders. Dras is easier to type than Erishé or even To'resk. Swamps are considered creepy but generally aren't considered "cool" or even desirable by most. Hence a better place for a group of "noble savages" or even just anti-heroes to reside? The Crannogsmen are regular humans (though probably more like the First Men) in Westeros, but they're disliked and oft maligned by outsiders because of where they live (and their use of poison). How close is this to release? Watched a few videos, looks great. I will be perusing the CoE forums and checking out the variety of communities. Another guild that I am involved in already has some extensive discussion that I am trying to catch up on. This seems like one of those games that will require some extensive research and preparation at the high level as well as some early access in order to get things right if we want to have something organized at full release. Baroness Gobblebug? Dat might be hosh. I'm in at the Mayor level. No villa for me and less exposition points, but otherwise similar to Gobble. That means I'm all in. Good to know Reitsuka and thanks for the friend code. I used it to register. So the question here really is if we have two members that already have Baron level packages do we see the need to have anything higher than that? I am not seeing the benefits at this time. I myself am eyeing the Proprietors pack as I would love to support the community with goods and be able to set up shop where ever we land. Another side question. I am still barely into the CoE forums and I am curious if they have any concept art around that would give us any indication that we can have savage like settlements. I think it fits our play style a lot better and am curious if there are such options or if we are subject to a more civilized settlement look. At magistrate and above, it's more about titles / houses / and designing custom content for the game. The efficiency of exposition points per dollar also declines. It's cheaper, for example, to buy the mayor pack than buying the same amount of exposition and the proprietor pack. Excepting the $200 exposition point limited time pack thing which is inflating your overall cost toward the magistrate level. I'd probably be inclined to do Mayor + 3,000 exposition points before I'd do magistrate. Of course, the jury is still out on how useful or not useful exposition points (since there's no exposition store yet) are going to be, but they're what you use to set up during the 3 month headstart period. Still that gives you twice as many of exposition points as magistrate gets for less investment. You just don't get a villa, can't name a star/constellation, and don't get access to the dev forum. I'd say courtier is the next big jump in that it lets you start with a county. It's also $900 dollars during the 10% off sale. Beyond that, I mean it sounds pretty cool to design custom armor or fighting styles for yourself or whatever, but you're also talking about 4,500+ dollars. There's a lot of stuff that sounds pretty cool for 4,500 dollars. Like if I was the area manager of a big box store and just didn't know what to spend money on. Maybe then. You can lose all your titles and equipment and stuff in this game though. One thing that's useful to know is that you can upgrade your pledge level for the difference between levels. Some of the kits are title specific and combined with the costs, gives you an idea of what kind of package / how many points you'll want to get started. I still can't get over how similar the graphics and website/company/marketing strategy are to Realms of Torment: Mourning, which ended up being a scheme for a Romanian company. It's a kickstarter / crowd funded game. That's why it has all the intro perks etc. The majority of kickstarter projects use exclusive gifts (or at least exclusive purchase points) to help incentivize donors. I'll be happy with whatever we agree on as far as where to start. I supported this during the kickstarter and I think I just got the package that gets me the game. I don't know if I get any beta access. I would be happy with either Snow, Desert, or Swamp environments. Although I agree with what was said above; if we pick swamp I think we'll have the least amount of competition. My personal hope for this game (at least for my personal character) was to be an explorer/map maker type character. I would be happy with either Snow, Desert, or Swamp environments. Perhaps when Clan Leadership decides further decisions are needed, they can put up a poll to see which tribe/biome is most popular. I think all of them have potential. But it is hard to say more until more information is released on the tribes themselves. Similar in height to the Neran, The Waerd average about 5'7" (170cm), however they are both stronger and leaner than the more common tribe of Mann. Members of The Waerd average around 150 lbs. and after generations of exposure to the harsh sun have either become, or maintained, a darker complexion. Lighter in complexion than their cousins the Erishé, The Waerd typically have brown eyes, dark brown skin, and either dark brown, brown, or light brown hair. While less is known about The Waerd than their more social kin, one thing is well established, their cool determination and steely resolve is second to none, and only The Waerd truly matter to The Waerd. Due to a unique protein in the their bloodstream that acts as an anti-freeze, the Yoru are able to survive in the frigid, arctic climate of the frozen north. The protein also causes accelerated growth, and having a height of over 7' (213cm) and a weight of over 275 lbs, the Yoru are by far the most physically imposing of the Tribes of Mann. In addition to the accelerated growth, the protein causes their skin to be semi-translucent, with a pronounced blue tint, as though they're living in a constant state of near hypothermia. The Yoru also have mane-like black hair that covers their head and back, providing additional warmth as it soaks up the sun's rays. Finally, the Yoru have small, squinty amber eyes that allow them to see in the harsh light of north. 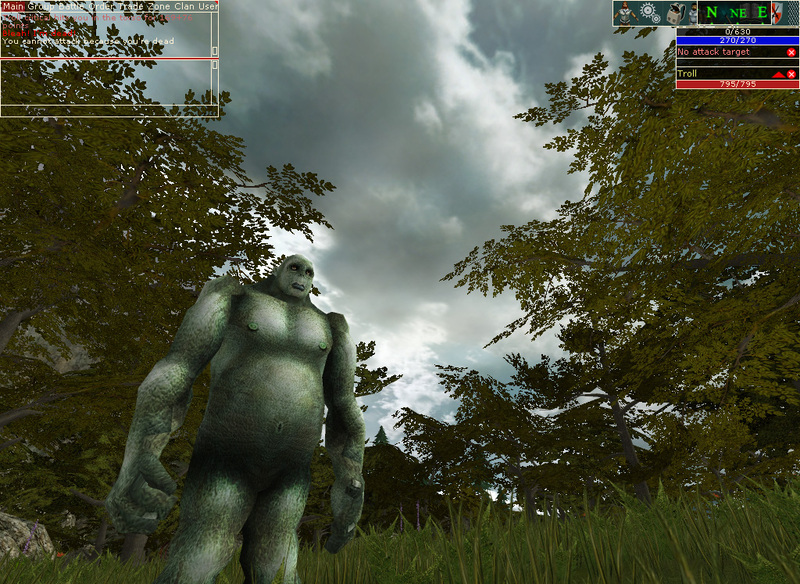 Altogether, the Yoru have a uniquely fantastical look, appearing like giants among Mann. Although known descendants of the To'resk, the Mydarri are slightly taller and darker of skin than their fresh-water counterparts. They are of short-to-medium height, with an average of about 5'4" (162cm). Having marginally more muscular bodies, male Mydarri weigh an average of 150 lbs. Presumably due to their time at sea, the Mydarri have developed a slightly darker skin tone than their ancestors, with olive or tan skin, and lighter hair - ranging from brown to red. Finally, their eyes are generally various shades of green, ranging from dark marble to sparkling emerald and can look like a black hole or a field of stars. If the brilliant colors weren’t enough, they've also grown a second lens over their eyes, allowing them to see under water, and giving them a unique, aquatic look. The Kypiq tribe are unquestionably the most diminutive of the tribes, but their small size and adorable demeanor belies the true value their form affords them. With an average height of about 4' (122cm) tall, and an average weight of about 60 lbs. the Kypiq are significantly lighter on their feet than the other tribes. With their medium to olive-tone skin, and their light brown, chestnut, or auburn hair, they blend in easily among the trees of the broadleaf forest. Their most striking feature, however, are their large, sugar-glider like brown eyes which only serve to amplify their squirrel-like stereotype. With an average height of about 5'7" (170cm), the Erishé are similar in height to the Neran. However, with the shortage of food and water of the Arid Desert, they remain thinner and leaner than their grassland counterparts. With a slightly more muscular build, the Erishé still average around 150 lbs. and after generations of exposure to the harsh sun have either become, or maintained, a darker complexion. In general, the Erishé have either black or dark brown skin, brown eyes, and either black, dark brown, or brown hair. If asked, they would tell you their appearance is due not to the unforgiving desert sun, but to their direct lineage to Erathor, son of Daemon and Qin of the Desert. The Brudvir are perhaps one of the most physically impressive tribes. Sharing a lineage as one of the original Proto-Neran, they look similar in appearance, however taller and more muscular in stature. Standing around 6'3" (190cm) on average, they are tied with the Janoa as the second tallest tribe behind the Yoru. Unlike the Janoa, their height comes with significant muscle on both the upper and lower body, giving them an average weight of between 225-250 lbs. They also have fairer skin than the Neran, with pinkish undertones. In addition, the Brudvir have hair and often heavy beards ranging in color from red, to strawberry blonde, to blonde. Combined with their yellow or hazel eyes and pronounced, wolf-like canines, the massive Brudvir can be an intimidating tribe to encounter. Sharing a lineage as Proto-Nerans the Hrothi are similar in appearance. Typically shorter than most Neran, the Hrothi have an average height of about 4'9" (145cm), and due to their propensity for more lean muscle and bulky stature weigh approximately the same, at around 125-150 lbs. The Hrothi have fair skin with hair colors that are slightly redder than Neran, ranging from chestnut, to auburn, to bright red. Their eyes are typically varying shades of brown, ranging from light to dark, and framed by their bushy, reddish-brown eyebrows and big nose. The Owem tribe is on the taller size, standing an average of 6' (185cm) tall. They have sleek, muscular legs that make them suitable for sprinting as well as distance running. Whether you want food, or don't want to become food, the only way to achieve your goal in the Savanna is to be fast. The constant vigilance, hunting, and running keeps the Owem lean at an average of about 150 - 175 lbs. They have olive or tan skin, and like many of the hunters in the Savanna have thick blonde, golden blonde, or ash blonde hair to blend into the tall grass. Natural predators, and nearly silent hunters, if you're close enough to see into an Owem's beady grey eyes, it's probably too late. Members of the Janoa tribe are tall and muscular in stature, standing around 6'3" (190cm) like the Brudvir, but weighing only 175 - 200 lbs. They have a longer, more developed upper body than most other tribes, attributed to an evolutionary need to reach higher branches and move around comfortably in the canopy. The Janoa generally have olive or tan skin, enabling them to blend in better with the surrounding flora, and have developed striping on their skin from pronounced Blaschko's lines. 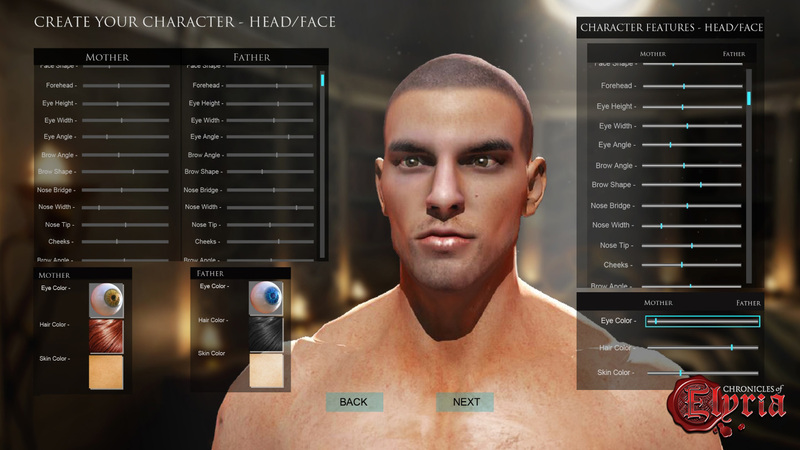 They typically have dark brown, brown, or light brown hair and imposing yellow eyes. The combination of yellow eyes and tiger stripes gives the Janoa a wild, feral appearance. I'll join up , either as an ally with some old Deaddies, or as Gung'Zog, my old quattie Kigg'r. Still I like the concept, and the Life of spark thing seems manageable for most. There's a Plague event currently going. 3 weeks left to decide the outcome within the game. If the plague wins, there will be more of it around the map. Essentially plague biomes. It's set 600 yrs before the game starts, so if you play this is basically your ancestors. If purity wins out, everyone who is cured during the event can start with a title related to the event and a natural immunity that can be passed down your bloodline. As the community reaches milestones alone the two bars it's opening the story of what's happening. For instance, we found out the plague was spreading through the water. Also, if you get cured, you get the 1st basic game package opened to you. So you get the base game for free at launch. The Event button is on their front page and it's a web based mini-game. To engage in trades and further info, Discord is needed to be used. Anyone interested let me know. I've already been cured and working on generating purity to help others. Edit: You guys that have already bought game packages. You will sign in and start off cured. Any who hasn't will be Plagued. I donated enough money to start with a title when the game finally launches, which means a piece of land somewhere. I believe some other SC have done so as well. Just curious how people feel about where the game is in development? I read the newsletters like everyone else, but they don't give me a good sense of where things really stand. It's great to know the ten-toed gila monster/sloth is being worked on, but I am starting to get a sinking feeling.